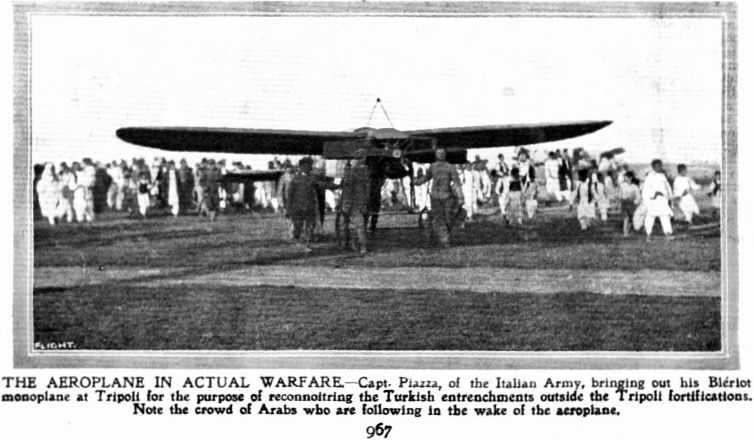 23 October 1911: For the first time, the airplane is used in warfare. 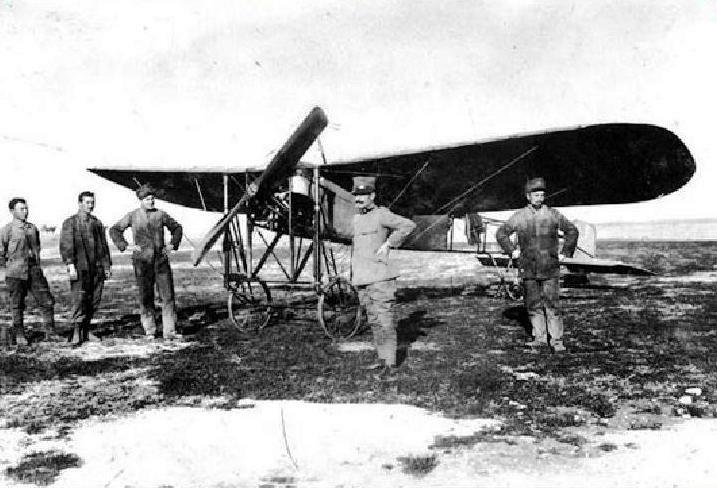 Capitán Carlo Maria Piazza, a pilot commanding an aviation unit of the Regio Esercito (the Italian Royal Army), flew a Blériot Type XI on a reconnaissance mission over the Zanzur oasis, south west of Tripoli, Libya, during the Italo-Turkish War (1911–1912). —The Influence of Air Power Upon History, Walter J. Boyne, Pen & Sword Books Limited, 2005, at Page 37. 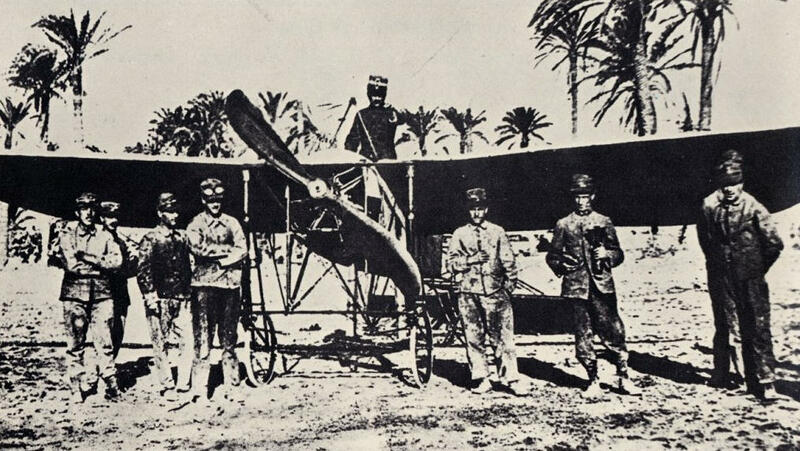 Capitán Piazza with a Blériot XI, Tripoli, Libya, 17 February 1912. The Blériot XI was a single-seat, single-engine monoplane, designed by Raymond Saulnier and built by Louis Charles Joseph Blériot. It was 24 feet, 11 inches (7.595 meters) long with a wingspan of 27 feet, 11 inches (8.509 meters) and overall height of 8 feet, 10 inches (2.692 meters). It had an empty weight of 507 pounds (229.9 kilograms). 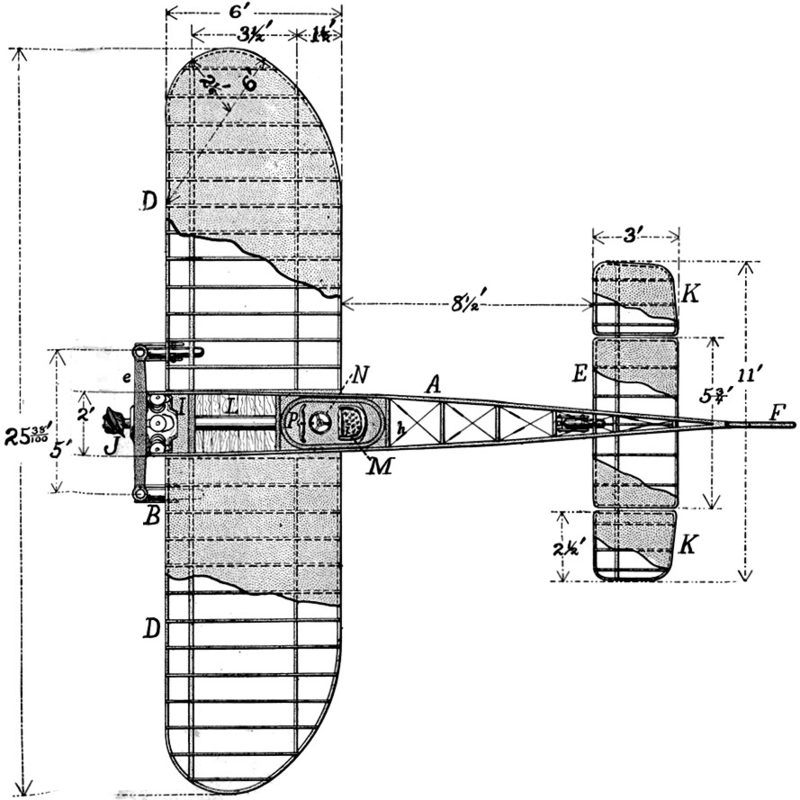 The Blériot XI Militaire was powered by a normally-aspirated, air-cooled, 7.983 liter (487.140-cubic-inch-displacement) Société des Moteurs Gnome Omega 7-cylinder rotary engine which produced 50 horsepower at 1,200 r.p.m. The direct-drive engine turned a two-bladed wooden propeller in a left-hand, pusher configuration. The Omega 7 is 79.2 centimeters (2 feet, 7.2 inches) long, 83.8 centimeters (2 feet, 9.0 inches) in diameter, and weighs 75.6 kilograms (166.7 pounds). The prototype of this engine is in the collection of the Smithsonian Institution National Air & Space Museum. 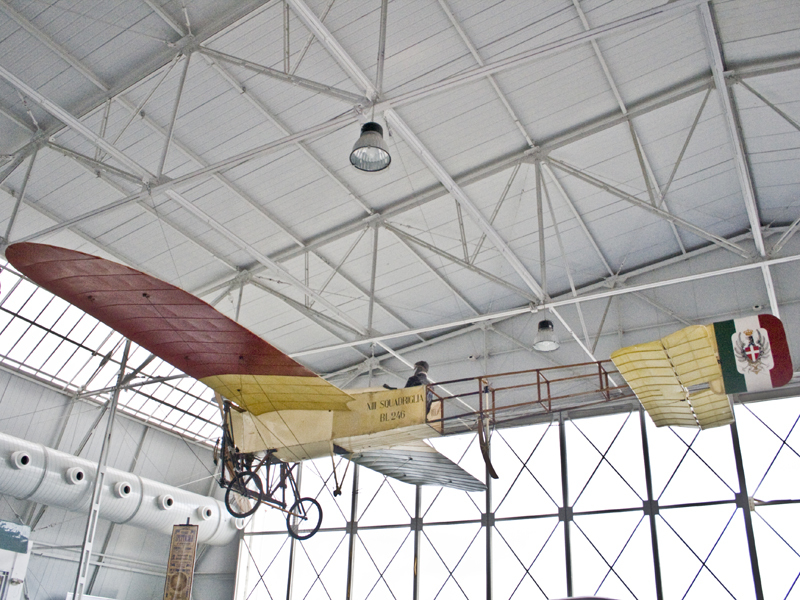 The Blériot XI had a maximum speed of 76 kilometers per hour (47 miles per hour) and its service ceiling was 1,000 meters (3,281 feet). 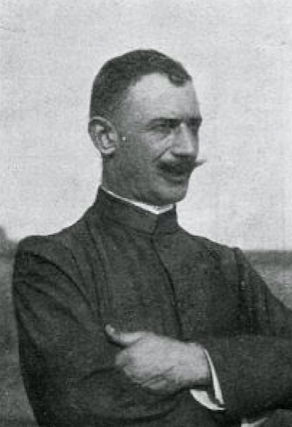 Captain Piazza was killed in action in 1917, during the First World War. When did Gen Pershing use them in Mexico,about 1915 or so. The 1st Aero Squadron, commanded by Captain Benjamin D. Fulois, participated in The Mexican Expedition 1916–1917 under Brigadier General John J. Pershing. The unit had 11 officers, 82 enlisted men, and eight Curtiss JN-3 biplanes. The first flight into Mexico occurred 15 March 1916.